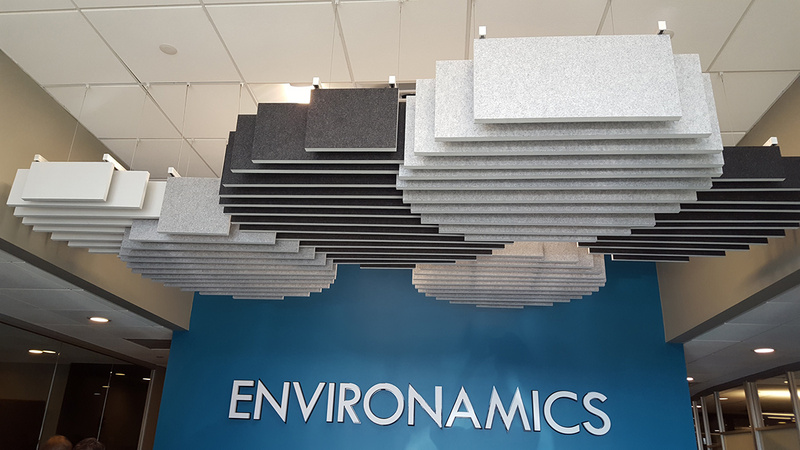 Installation of custom baffles and signage at Environamics. The custom baffles and signage were designed and produced by ICF Ideas. 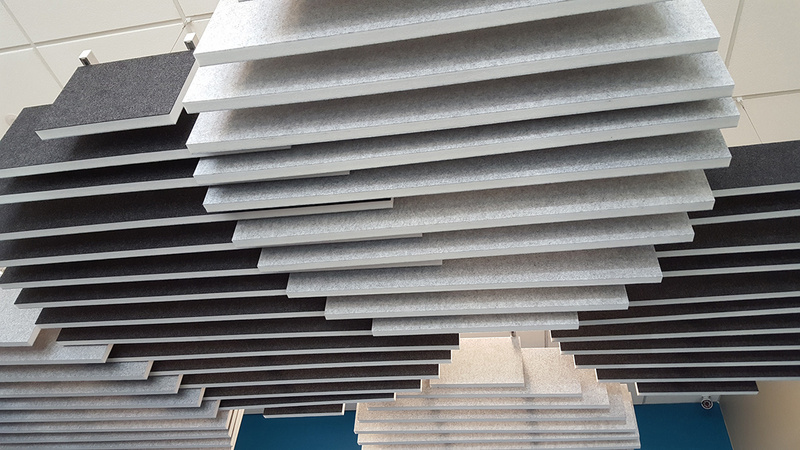 Products used: 0.98″ ecoustic® Panels in White, Natural, Light Grey and Charcoal. Panels hung with Unika Vaev’s proprietary track system.